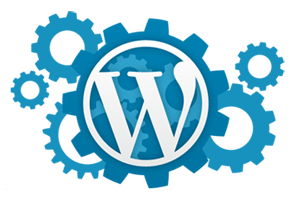 WordPress® is a website platform that uses style templates. These templates come in a wide variety of designs and, by selecting the right theme template for your company, and if your requirements are not too exhaustive, wwwhatever will get your website up and running quite quickly. In addition to the themes, there are optional plugins. Plugins provide for extra functionality; simple things like pop-ups or more complicated software such as payments processing. Installing plugins within a theme is not as easy as some may think and we need to ensure plugin is suitable for your needs and that it will be maintained by the provider, as many are not. Undoubtedly, plugins will not fully satisfy a particular need so there is often a little bespoke work necessary to make them fit your requirement. So, this is a relatively simple process so long as you can make your choice from the hundreds of themes and thousands of available plugins! We, of course, have our favourites! The majority of WordPress® templates are ‘responsive’, which means they will work on all devices; mobile phone, tablet, laptop, desktop PC and TV screen, whatever the screen size and orientation. If the responsive design is not completely to your liking then we can modify it using our bespoke service. Some more sophisticated themes and plugins do need to be purchased and often need an annual renewal. However, with our bespoke service, we try to avoid these, to keep the overall cost of providing a website as low as possible. You’ll probably be up and running quicker than alternative website developments. Most themes are mobile and tablet friendly, which means your website will look equally good on all devices; phone and tablet, laptop, PC and TV. WordPress® has in-built search-engine optimisation (SEO), which should mean your site appears higher in a Google search without the need for additional SEO solutions and associated additional cost. WordPress® has in-built Admin facilities, which means your technically savvy staff can perform many of the updates themselves without the need for our ongoing support.